While notable designs have come to the MacBook Air, clones are putting the 2018 iteration in an odd spot. The newest Air doesn’t struggle to rock the same design it’s had for years, but the affordable pricing makes it the most affordable laptop running macOS Mojave. That’s changing, though. For those inspired by the Air but discouraged by the price, the iOTA Slim offers a ‘similar’ design but costs peanuts, just like most Chromebooks. If you need better value in a ultraportable laptop, go for the MacBook Air, but if you’re a student or bargain hunter looking for a basic laptop that lets you get online, update your Facebook feed or complete basic college projects, the iOTA Slim is the way to go. Price notwithstanding, the laptop features a Full HD display, useful port options and good connectivity. By and large, the iOTA Slim looks like the Apple Air, with the signature thin build, matte-silver aluminum chassis and soft rounded corners. It even features circular rubber feet, but on closer scrutiny the differences begin to emerge. For instance, the Slim lacks a backlit keyboard and the trackpad isn’t anything close to the MacBook’s; and, so is the paintwork. The trackpad is responsive, key travel is pretty good and they have good spacing for a 14-inch ultraportable. It measures 8.6 by 0.39 by 13.1 inches (HWD) and weighs 2.96 pounds; surprising the MacBook Air has the same weight and is 0.68 inches thick. Ports are fitted into the slim profile and they include: two USB 3.0 Type-A, a microSD slot, a 3.5mm headphone jack and a micro HDMI port. Sadly, it lacks a Type-C port and an Ethernet port, but dual-band 802.11ac Wi-Fi and Bluetooth 4.0 will get you connected. There is a 0.3-megapixel front-facing camera, which doesn’t offer any good video quality. It’s rare to find a budget laptop supporting a Full HD resolution. The iOTA Slim’s 14-inch IPS display has a resolution of 1,920-by-1,080, and its something we can applaud in a budget machine. While it may not be the most accurate budget display around, it offers good contrast with acceptable viewing angles. Sure, a contrast ration of 1,384 and a maximum brightness of 239cd/m2 is a kill for a laptop that costs much less than a Chromebook. The Intel Dual Core Celeron N3350 processor on our review unit runs at 1.1GHz, Intel HD Graphics 500 and is supported by 2GB RAM (most budget laptops come with at least 4GB). This combination doesn’t land the iOTA Slim a position among the best performing budget laptops we’ve tested before. It does struggle even with the most basic of tasks including search in Explorer, meaning it can’t suffice for multitasking. The Slim’s bunch of misery is enshrined in the 2GB RAM that fails to deliver enough muscle for multitasking. Sadly, a gorgeous screen and sleek build get to meet mediocre performance. As expected, gaming is far from reach, with less than 10 fps on most games. Storage comes in way of 32GB eMMC flash memory, with a chunk of it occupied by the pre-installed Windows 10. You’ll run out of storage space sooner than you expect, and we all know how computers misbehave when they have minimal storage. In short, if you’re buying one I’d recommend you get an SD card to use with the machine as it supports cards up to 64GB. The iOTA Slim arguably re-ignites the Ultrabook party, and it’s here as a younger, thinner and nice-looking laptop. It has a very decent keyboard and touchpad for the price, a gorgeous screen but its performance is lackluster. If you’re thinking of buying one, beware of the performance limitations: inability to multitask, so don’t expect to push it beyond the realm of lightweight web browsing, email and word processing. And, you might have to buy an SD card on the side to supplement the existing storage. As for me, the design and other features re well worth the bucks you’re paying –only that better performance would be much welcome. 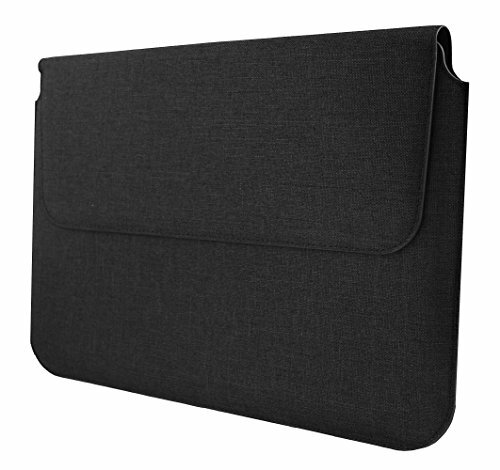 Still, for anyone who needs an Apple Air wannabe for college or home-use but doesn’t want to spend much, the iOTA Slim is worth in every other way. The iOTA Slim squeezes into a space where Apple’s MacBook Air reigns, but it does offer a decent IPS display, sleek design, good keyboard, all at a very tempting price.